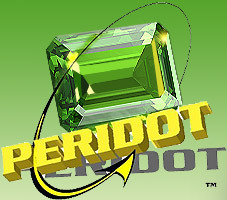 A customer in the automotive industry contracted Peridot to create a fully functional prototype of the custom Housing highlighted here. Utilizing simulated polycarbonate material and a state of the art SLA rapid prototyping machine, the advanced stereolithography (SLA) process was carried out to produce this prototype, holding a tolerance of ± 0.25mm. In order to properly perform a liquid flow analysis, optical clarity was necessary. 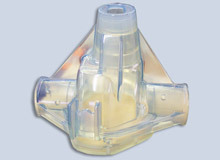 This part is originally manufactured in metal, and fabrication out of transparent plastic was a manufacturing challenge Peridot overcame with proprietary innovations for the customer. 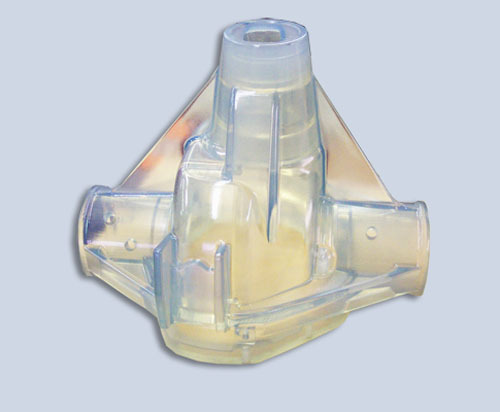 Other unique specifications including the unit’s large size and complete moisture resistance also required ingenuity to produce. The part was assembled as specified, and finish machining performed for the tight tolerances and threaded features. In addition to flow analysis, the unit underwent fit and functionality testing. Final measurements of the prototype were 22.7” in length, 21.4” in width, and 14.5” in width, and a mass of 393 cubic inches. 6 prototypes sub-components were manufactured within a 4 week turnaround time and shipped to the customer in the midwest. For more information about this automotive Housing functional prototype project, or the other rapid prototyping solutions available please see the table below or contact Peridot directly.